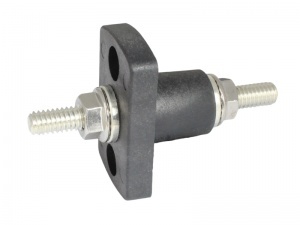 These terminal feed through power connectors from Blue Sea Systems are the ideal solution for routing large gauge, high current cables through hulls, decks, bulkheads and panels. Large gauge cable is heavy so grommets don't offer adequate protection against chaffing and can't support the cable properly. 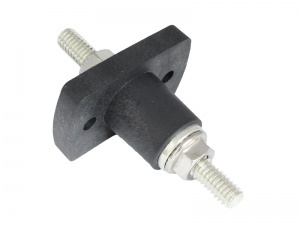 These connectors eliminate the risk of chafing and are extremely tough, providing excellent strain relief for the cable at the pass-through point. The large mounting plate allows the connector to be gasketed against or recessed into the bulkhead surface, enabling the pass-though point to be fully sealed and made water-proof. The connector is also IP66 rated to ensure water cannot migrate between the connector and the housing. Can also be used as remote jump-start connectors. Ideal for use in all marine, automotive or recreational vehicle applications.